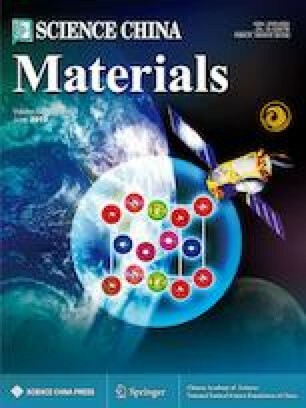 Organic-inorganic hybrid perovskites are ideal materials for photodetection owing to their high charge carrier mobility, long charge carrier diffusion length, low dark current density and sharp absorption edge. However, a relatively small band gap (1.6 eV) limits their photon-harvesting efficiency in the near-infrared region. In the present work, we demonstrate a hybrid methylamine iodide and Pb-Sn binary perovskite as the light absorption layer in photodetectors. Experimentally, the wavelength of photoresponse onset for the photodetectors can be extended to as great as 1,000 nm when the Sn content of the hybrid perovskite is increased to 30 mol%. In addition, the photodetectors exhibit a photoresponsivity of 0.39 A W−1, a specific detectivity of 7×1012 Jones, a fast photoresponse with rise and decay time constants and an external quantum efficiency greater than 50% in the wavelength range of 350–900 nm, with a maximum value of about 80% at 550 nm. Yukun Wang received his BE degree in microelectronics from the College of Electronic Science and Engineering, Jilin University in 2013 and then joined in Prof. Dongge Ma group at Changchun Institute of Applied Chemistry, Chinese Academy of Sciences (CAS), where he obtained his PhD in polymer chemistry and physics in 2018. Currently, he is doing his postdoctoral research at Ewha Womans University (South Korea). His research interest includes Pb-based and Pb-free perovskite devices (solar cells and photodetectors). Dongge Ma studied semiconductor device physics at Liaoning University and Jilin University (China), where he received his BSc in 1989 and PhD in 1995, respectively. After additional years as a visiting professor and research fellow in University Federal do Paranal, Brazil, and Durham University and St. Andrews University, UK, he joined Changchun Institute of Applied Chemistry, CAS, as a professor in 2001. His research interest includes the study of organic optoelectronic devices, including organic light-emitting diodes, organic photovoltaic cells and detectors, metal-based organic transistors, organic lasers, organic/inorganic hybrid perovskite devices and the physics process in these semiconductors. Supplementary material is available for this article at https://doi.org/10.1007/s40843-018-9377-3 and is accessible for authorized users. 有机-无机杂化钙钛矿材料具有载流子迁移率高、 扩散长度长、 暗电流密度低、 吸收边缘锋利等优点, 因而成为用于光电探测的理想材料. 但是, 相对较小的带隙(1.6 eV)限制了这些材料在近红外区的光子捕获效率. 本研究中, 我们利用碘甲胺和铅-锡二元钙钛矿作为探测器的光吸收层, 导电聚合物和富勒烯作为空穴和电子传输层, 铟锡氧化物和铝作为阳极和阴极制备了光电探测器件. 实验结果表明, 当锡的含量达到30%时, 探测器的光谱响应拓宽到1000 nm. 此外, 我们制备的探测器的光谱响应度达到0.39 A W−1, 归一化探测率达到 7×1012 Jones. 器件的外量子效率在350到900 nm范围内, 均超过50%, 在550 nm处取得最大值, 超过80%. The authors gratefully acknowledge the International Cooperation Foundation of China (2015DFR10700), the National Natural Science Foundation of China (51403203) for the support of this research. Prof. Ma D extends his appreciation to the Distinguished Scientist Fellowship Program (DSFP) at King Saud University, Riyadh, Kingdom of Saudi Arabia for financial support. Prof. Agafonov Vadim thanks the support of the Russian Ministry of Education and Science state assignment No 3.3197.2017/ПЧ.